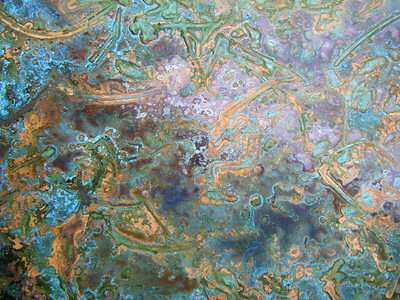 This work started off with a commisssion to make an artwork to soften the visual brutalness of an amazing stainless steel kitchen. 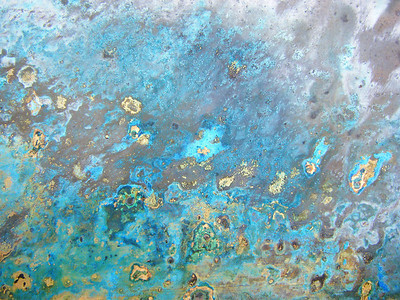 I ordered lots of interesting chemicals and started experimenting. 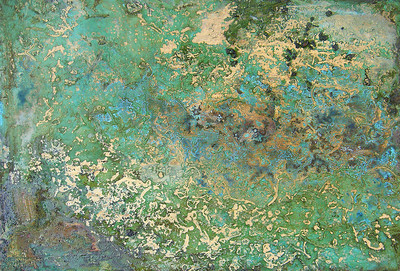 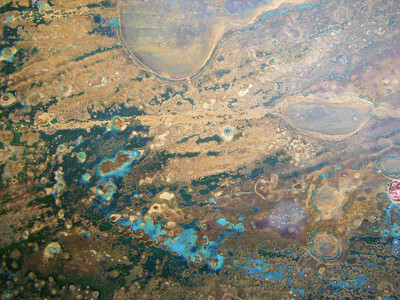 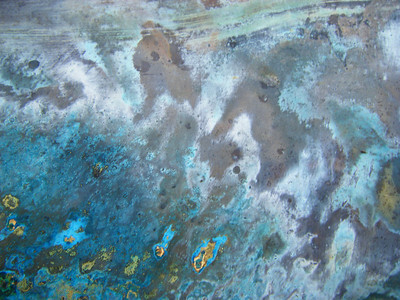 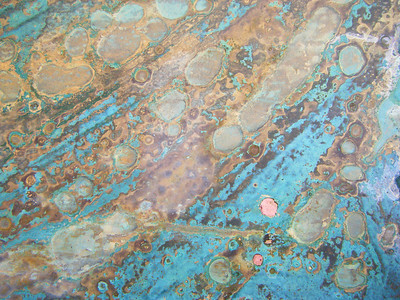 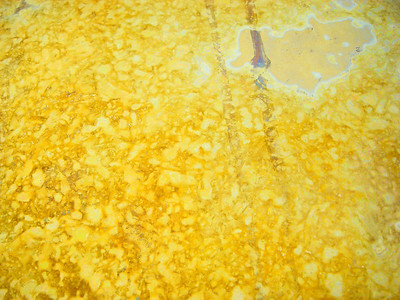 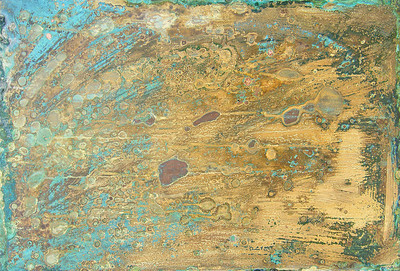 From that project I developed lots of techniques to create patinations using textures with the wet chemicals and pressure. 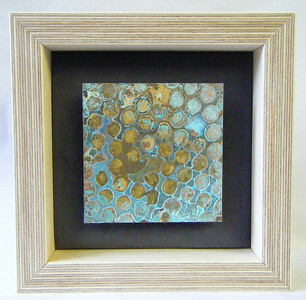 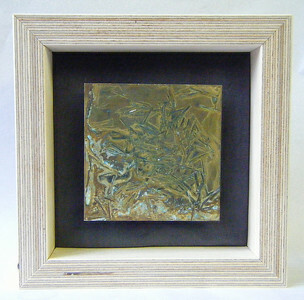 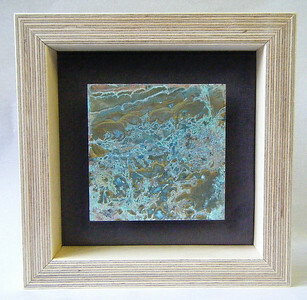 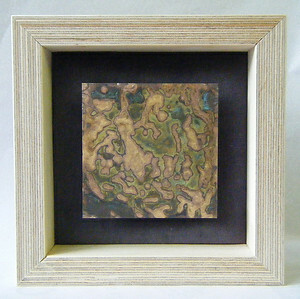 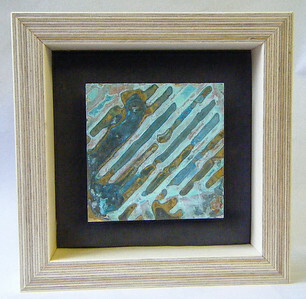 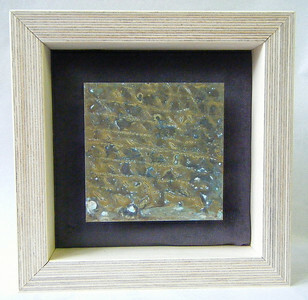 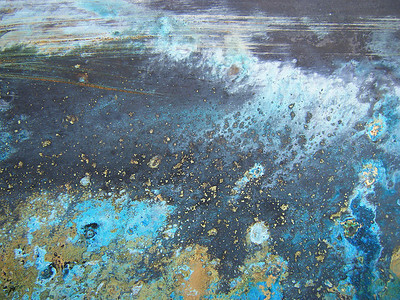 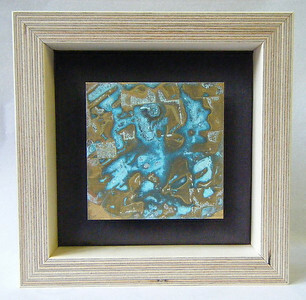 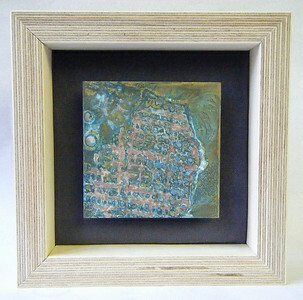 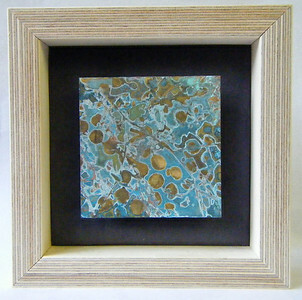 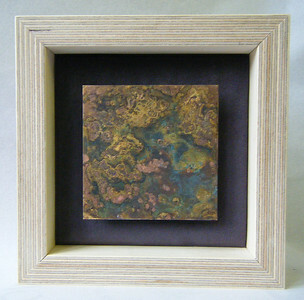 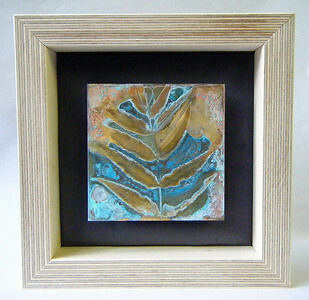 The smaller framed pieces (with the brass 80 x 80 mm) have been in a couple of exhibitions.